Muriel Pemberton lived at 46 Harcourt Terrace, South Kensington. 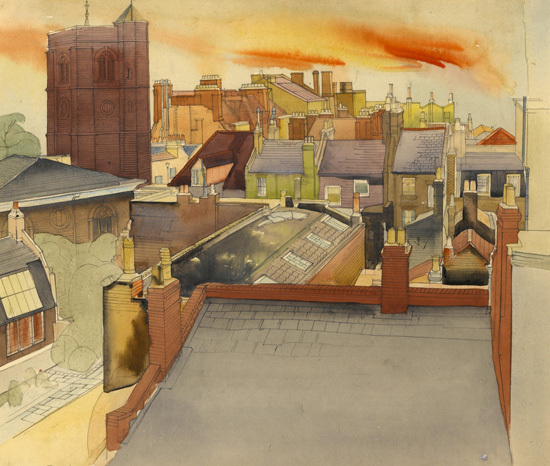 This watercolour shows Chelsea Old Church from the north-east seen from the roof of a house in Lawrence Street (perhaps The Courtyard House). The row of houses in Old Church Street, facing the viewer and those behind them on Cheyne Walk, were bombed (as was the church) and replaced by a park .